The Terran Union is engaged in a vast interstellar war against the Krag Ruthless aliens intent on exterminating humankind. In 2315, the wily Max Robichaux is given command of the USS Cumberland, a destroyer with state-of-the-art capabilities but a combat record so bad, she’s known as the “Cumberland Gap.” Capt. 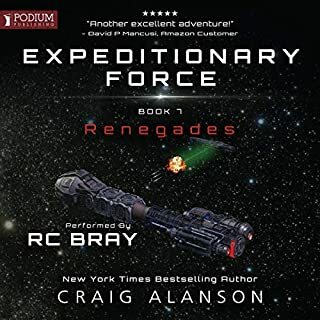 Robichaux’s first mission: to take his warship to the Free Corridor, where the Krag have secretly been buying strategic materials, and to seize or destroy any ships carrying enemy cargo. 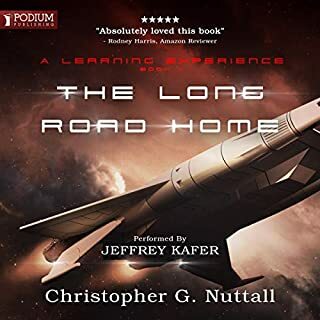 Far from the fleet and under enforced radio silence, Max relies only on his determination and guile…and the support and friendship of his chief medical officer, the brilliant Dr. Sahin. Because even as he deals with the ship’s onboard problems and the stress of carrying out her risky assignment, Max and the doctor discover that the Cumberland and her misfit crew are all that stands in the way of a deadly Krag attack that threatens to end the war - and humanity - once and for all. 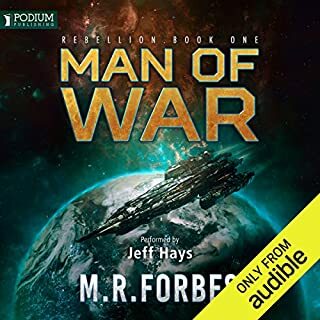 A far-future story in the tradition of “ships of wood, men of iron” novels, To Honor You Call Us and the Man of War series combine the adventure of exploration, the excitement of war, and the dangers of the unknown through the eyes of a ship and her crew. ©2013 H. Paul Honsinger (P)2014 Brilliance Audio, all rights reserved. This series would appear to borrow from Patrick O Birans series around Aubrey Maturin. 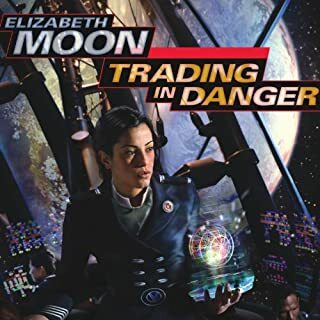 Good Sci-Fi story with rounded characters. 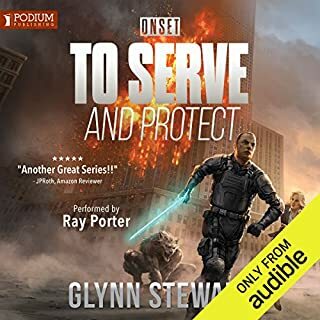 Worth a listen, I am getting the second book. Would you recommend To Honor You Call Us to your friends? Why or why not? Would recommend as a an easy read. Characters worth developing. Lets see where it goes. What does Ray Chase bring to the story that you wouldn’t experience if you had only read the book? A good range of both British, American and Euro-Asian accents helped to ID the characters easily. Good pacing and pleasant delivery. No, I never do, However I did take the opportunity to listen to this as quickly as possible. I.e. taking every opportunity. 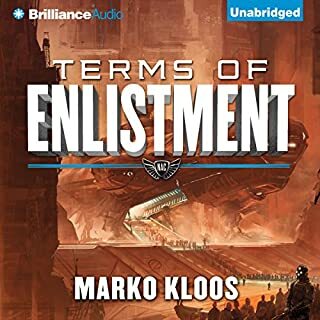 If you like Military Sci-fi and or Naval Fiction with some character development then give this one a go. What did you like most about To Honor You Call Us? What was one of the most memorable moments of To Honor You Call Us? 'hit em hard's' description of an officer as a one man squirrel convention, I'm gonna use that! try it, you might be surprised, as I was! There's a rat in galley, whatcha gonna do? 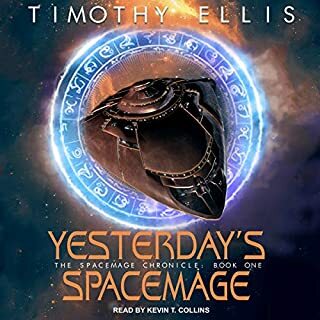 The prologue of this book is very cheesy but once the book “starts properly it builds steadily, introducing somewhat varied characters (the main characters are all “Spacers” so are somewhat of stereo type of futuristic sailors/servicemen.) The technology is explained enough so you understand not enough to boar or baffle. Basically it’s a rollicking good (holiday) listen in the (updated) style of Bernard Cornwell’s Sharpe or C.S. Forester’s Hornblower. Fabulous space farer yarn with a real feel of swashbuckling on the high seas. An unexpected gem; looking forwards to the rest of the series. I found the awful southern drawl of the narrator both irritating and off-putting, which is why I only managed 3 chapters. I really enjoyed this book. It's not a hard SF book chock full of details about warp fields and science; but for me it has a bit of a classic feel to the story - men are men and women are sadly absent with action and adventure all the way! 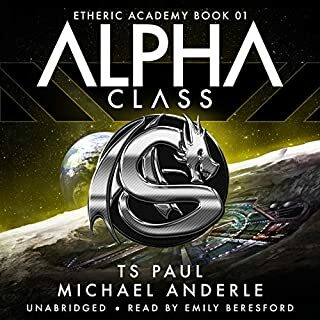 The story is engaging with enough off ship action to get the feel of an actual universe filled full of independent human offshoots and completely alien non-human species and cultures. The narration was a bit of a let down for me. Chase has a good variety of accents and distinguishing features for the cast, but the voice he uses for the Doctor was so soft I often had trouble hearing the words. 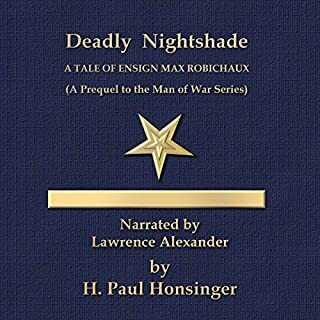 Where does To Honor You Call Us rank among all the audiobooks you’ve listened to so far? very words rich writer who tells a single story but use language quite ernomt well. I'm not one who normally goes for military stories, but after reading the description and the reviews I decided to take a chance. Glad I did. This was an entertaining story from the very beginning. The struggles LCDR Robichaux endures with his crew and vessel are similar to other "overcoming the odds" stories but the author does well to make it unpredictable. While not a huge military buff I enjoyed the references to earth's historical wars and how they related to the war humanity finds itself in. There were plenty of humorous moments that had me laughing aloud as well (references to a certain space faring television show to start) and even though you only "meet" him for the last chapter, Admiral Hornblower was probably my favorite character. Ray Chase was an excellent narrator, bringing life and uniqueness to each of the characters. 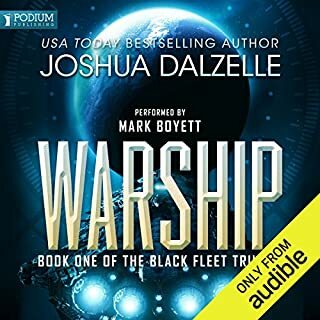 I particularly liked how each character had his own unique voice, from the very young midshipmen to the gruff and crass Admiral. The only negative I really had was every now and then the characters would give long expositions on historical wars or explanations of culture, history, procedures, etc that, while important for the story, occasionally dragged on and seemed out of place for the scene. Despite that, I look forward to reading the other stories in this series. 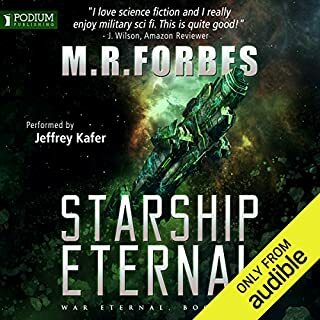 I love a good old fashioned military sci fi but it's the space opera subgenre that I truly enjoy. This book by Paul Honsinger, previously self published, is now getting a glossy release with a great cover. Although the book is decently written, I have to admit I did not find myself engaged by the characters. Dialogue seems to always be presented, rather than spoken, and it ended up making the characters feel either pompous or smug. 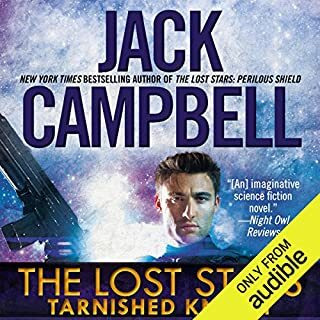 I listened to the Audible version as well as reading the print and I can't pinpoint whether it was the narrator's way of tapering off sentences to an emotional low or simply stilted dialogue. But in the end, I just didn't believe any of the characters are real people. Robichaux was a bit too perfect - always coming up with the perfect solutions to any situation, alien or otherwise. I believe the author wanted to present a flawed character forged through a crucible of horrific experiences. But I'd have to have seen, rather than be constantly told in speech after speech, of that pathos. And therein was a lot of the problem for me - we get a lot of tell but very little show as to the nature of the characters. Even the narrator was having trouble making the dialogue sound believable. Plot: Captain Robichaux lost his first command in a horrific way and now finds himself captaining a grossly mismanaged ship with serious issues. He will have to pull it together as an alien species is bent on human genocide. For it will turn out that their ship may be all that stands between the aliens and Earth. Robichaux, we're told, is suitably flawed - suffering from PTSD, having to overcome the obstacles of his new captaincy, and with only his ship's doctor for a friend. Those who have read Patrick O'Brien's Age of Sail series will recognize these archetype characters immediately (or, at least, Star Trek interaction between Kirk and Bones). Most of the book is Robichaux fixing the issues with his new crew. As such, there's not much action until near the end: just events, speeches, crew mutiny, speeches, drug problems, speeches, introspection, speeches....and more speeches. I felt like every sentence someone spoke had to end with an exclamation mark. There are no women whatsoever - we are told the aliens created a virus that wiped them out. Even at social functions, there are no women nor do any of the men really think of loved ones/parents/etc. I can't think that leaving part of the human race at home because of gender when there is a war to annihilate your species is going on is the smartest move - if you lose, the women bite it anyway. But it is thematic with the Master and Commander feel of the book, harkening to the days when women were considered bad luck on a ship. One thing that really did bother me were the countless references to late 20th century space/sci fi - I think Grissom was mentioned, what, 5 times? Star Trek 7 or 8, and a lot of the terms derived from pop culture. That felt odd considering the space/sci fi of the first part of the century not really being noted - from Verne to Buck Rogers. Clearly, the author is a child of the 60s and 70s but the character Robichaux isn't - and why would any of his crew get those random historical references? It would be sort of like referencing generals of the Crimean war if you lived in the 1920s. As well, there would be many many more cultural icons to draw from in the coming several centuries before this story takes place - but no reference to anything else except 60s and 70s NASA/Sci Fi. This may seem nitpicky but it kept pulling me out of the story and was starting to feel far too gratuitous and wink wink. 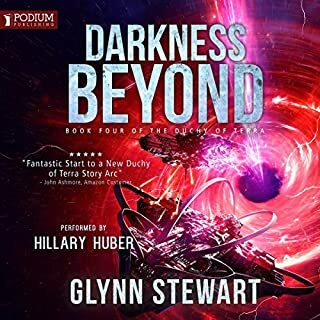 Military sci fi authors each bring something special to the table for their successful series. 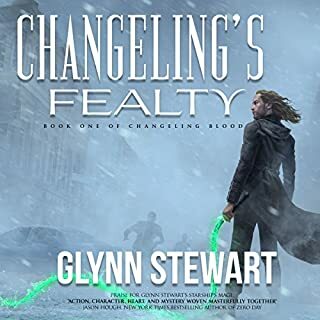 CJ Cherryh and her psychology, Campbell's Lost Fleet and likeable characters, even another formerly self published but now published author Currie and his down to Earth motley assortment of simple folk. What I feel Honsinger brings is a more formal, stilted, old fashioned type of navy at sea a la Nelson and Hornblower. So if you like characters that don't speak, but instead Project with a capitol "P", then this likely will be a series you'll enjoy. But for me, it just didn't engage me and I just didn't like or get behind any single character in the book. I didn't dislike them - I just found them annoying and somewhat pompous. At this point, I'm not sure if I want to continue with the series. Reading the writer's haranguing of reviewers who didn't highly rate the book here in the Amazon review comments sections was disappointing and quite off putting (personal attacks, "if you don't like it, go write your own novel! ", "this person is a shill working for another sci fi author trying to discredit me!"). It's just not something that makes me want to support the book with sales or even recommend. OK, so the story is fun and the characters are well written. The technology is believable, the descriptions are credible and avoid the common mistake of getting in to technical detail that someone with a scientific or engineering background would find offensively wrong. But in some places it could do with some technical checking. The ships, in normal space, are running at 0.25-0.5 C in combat. That is 75-150,000 Km/s. Now they are maneuvering within 10,000-20,000 Km of enemy vessels. So 4/15 to 1/15 of a second. With humans driving. And then there's the serious anachronisms. 300 years in the future they are driving ships that can accelerate in moments to multiples of light speed and have ship killing plasma canons. But they are still using Bren Tens and M1911s as personal sidearms. At least once the 1911 is described as the best hand gun ever made. But that isn't true now. By current standards it is dangerously unreliable and marginally effective. If you replace a bunch of parts it can be extremely accurate, at the expense of reliability, unless you pay a very great deal. And even then it's only pretty reliable. If you clean it every day and keep it away from all dirt it works OK, but it is hardly a Sig or Glock either of which will work no matter what. And each of which is highly reliable. 300 years ago we had single shot flint lock pistols. In 300 years a 1911 is utterly out of place. Like if he'd had his Harley Davidson brought on board as a way of getting round the ship fast. Confession: I could not get more than 3 minutes into this book due to the style of narration. Style seems more suited to some form of enthusiastic parody. Overly dramatic. Will buy the kindle version instead of cringing over the audio. This book was fun to listen to. 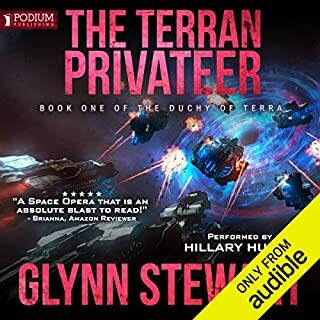 There were flaws in the plotting but it moved right along and as long as you are willing to overlook things like swords and boarding parties in space, it is a good listen. If you like the idea of Hornblower in space you will probably like this. This is Horatio Hornblower on steroids. Totally light, fun, diverting story and a great narrator. Don't look for anything heavy or serious here. I loved it for what it is..classic space opera without the political gravitas of Weber. 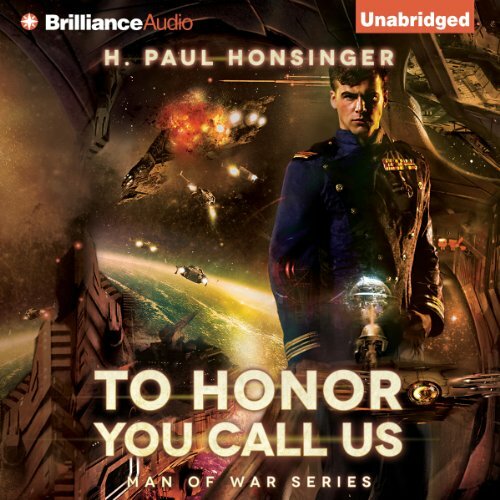 Would you consider the audio edition of To Honor You Call Us to be better than the print version? It's a great alternative to the print version. You definitely aren't losing anything in either version. The audio version does give you a nice sense of the varied ethnicity of each character. What other book might you compare To Honor You Call Us to and why? 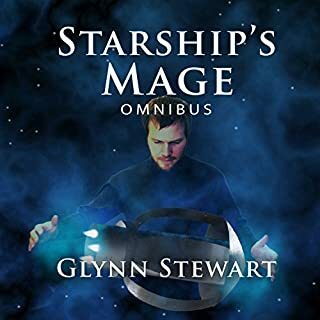 Horatio Hornblower meets Heinlein's "Starman Jones" or "Citizen of the Galaxy"
It’s 200 years in the future and an alien race wants to exterminate all humans. If the Earth-based military forces do not defeat the enemy, all will be lost. 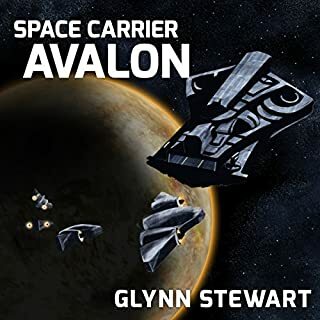 In an effort to disrupt the alien’s capability to wage war, a space ship is sent on a dangerous mission to destroy supply lines. But, instead of selecting one of their best, the military has chosen a ship deemed unimportant and, if lost, of little consequence. Like so many military sci-fi books, humans have angered another race and must battle a foe that has superior forces and technology. Unlike other books, this one is focused on shipboard life and the challenges faced by a crew at war. Reminded me of the movie “Master and Commander – the Far Side of the World” staring Russell Crowe. I couldn't hear some of it unless I turned up the volume. At times, the story sounds like a macho bravado laced PR campaign. I have already read the book. 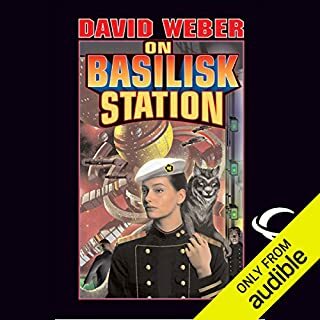 I bought on Audible so I could share it with my wife! She, a Navy veteran, loved it as well.